This past weekend's wedding was a stunner! Elisa and I have known each other for a few years now, and when I got a message from her to catch up and start talking wedding flowers, I was so excited! The venue was Beamer Falls Bed and Breakfast, a beautiful old farmhouse along the Niagara escarpment. 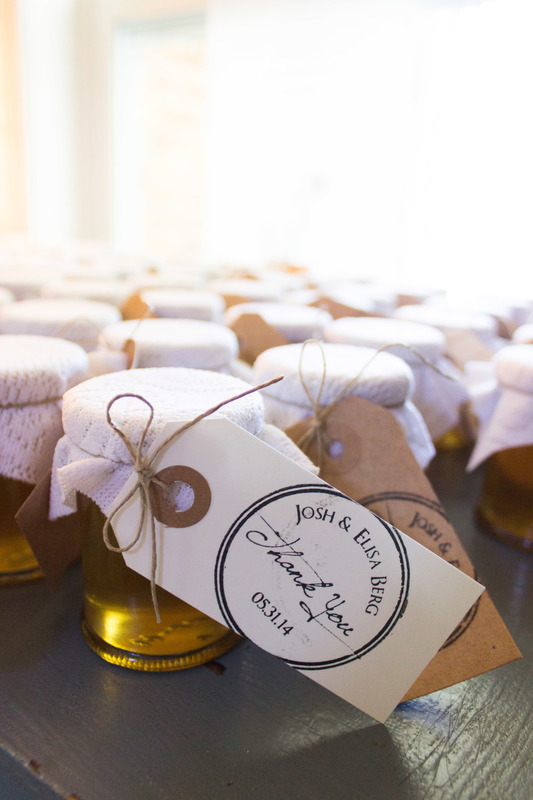 The character of the venue, and the vision that Elisa and Josh had for their wedding day worked perfectly together. It was my job to make sure the flowers finalized the look! It was such a beautiful wedding and am completely pleased with the way everything turned out! Congratulations on your wedding day Elisa and Josh! Outside at the Bed and Breakfast, where guests could leisurely enjoy the beautiful grounds! Vintage bottles collected by the bride with various blooms served as the simple centrepieces for this standing reception! The Great Room, a later addition to the farmhouse, had a fantastic raised section of roof! 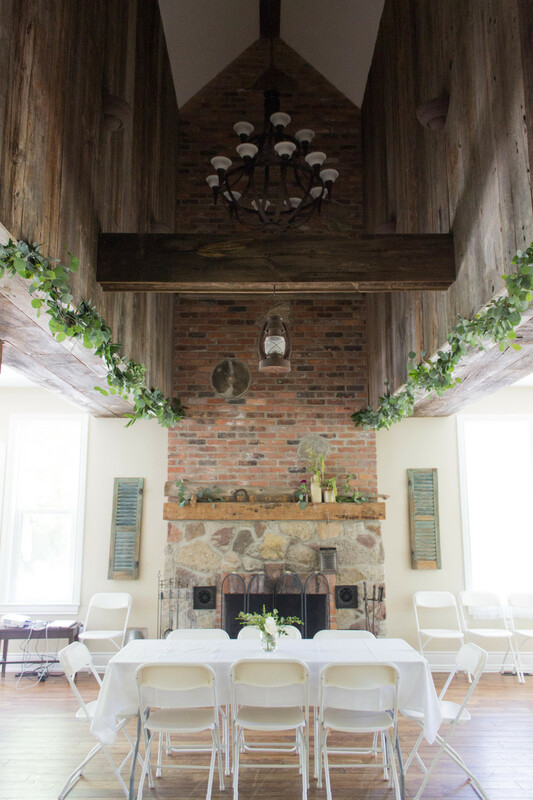 Garland hung from the old barn wood, with greens and various blooms were placed on the mantle! 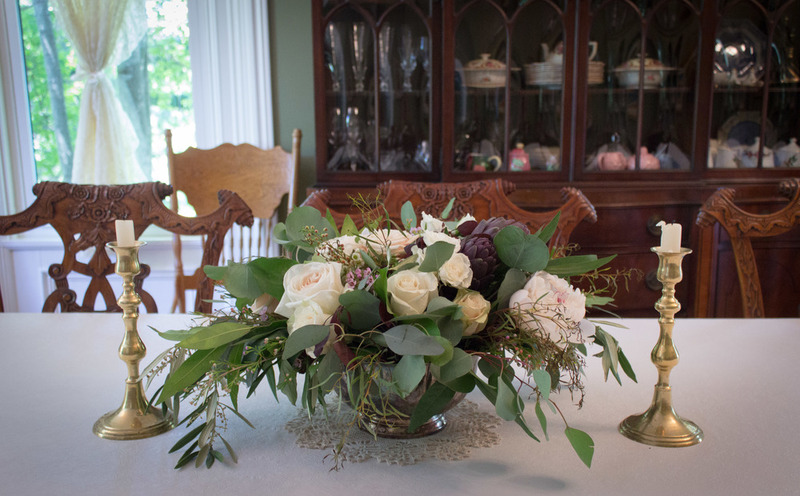 Food was served in the dining room, where this classic arrangement adorned the table.